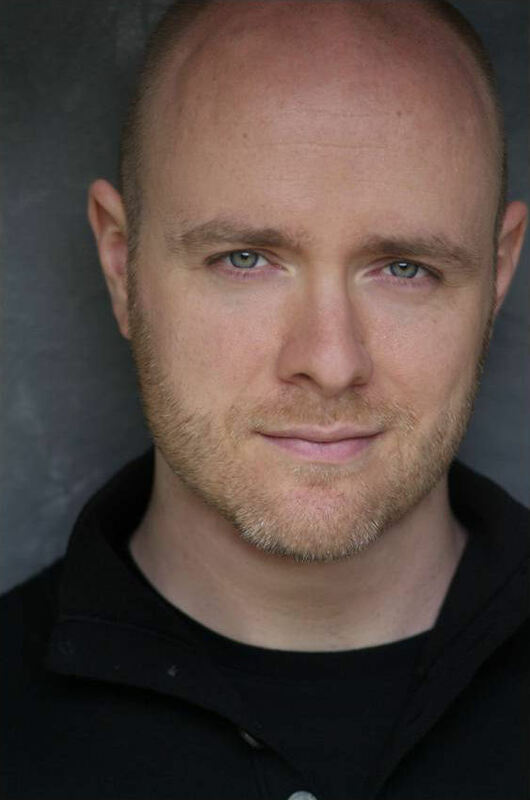 Andrew Cummings, Baritone, | Welcome! Andrew Cummings is a compelling artist consistently praised for his rich, flexible baritone and heart-wrenching expressiveness, as well as his stage presence and dramatic intensity. Hailed by the Houston Chronicle in his 2013 role debut of Verdi's Macbeth with Opera in the Heights: “Andrew Cummings’ Macbeth…brought both hefty voice and formidable presence. Not only did he sing with power enough to make Verdi’s big moments hit home, but he could also go the opposite way: by reining his voice in to a whisper or a sotto voce cry of terror, he opened a window on the terrors that seize the character’s soul.” 2013 also saw Mr. Cummings’ South American debut in the role of Kurwenal in Wagner's Tristan und Isolde with the Bogotá Philharmonic Orchestra in Colombia; his Atlanta Opera debut in Puccini’s Tosca as Sciarrone, and as Scarpia for their student matinees and as cover for main stage performances; and his reprise of the role of Germont in Puccini’s La Traviata for which he first received acclaim in 2008: “…Germont was in the skilled hands of Andrew Cummings, whose strong and warm baritone caressed the ear. His singing of 'Di Provenza il mar' was sung with depth and bursts of vocal beauty that…recalled the great baritone Robert Merrill." [The Brooklyn Eagle, 3/18/08] Andrew is reprising the roles of Scarpia in Puccini's Tosca, and the title role in Verdi's Rigoletto with Central Florida Lyric Opera in 2016. Mr. Cummings made his Carnegie Hall debut in 2010 in the title role of Rigoletto with the New York Lyric Opera. He has also been a guest artist for the Metropolitan Opera Guild's Masterly Singing Series, performing selections from Verdi's Macbeth and Falstaff and Puccini's Tosca. His 2012 performance as Renato in Un ballo in maschera for Union Avenue Opera in St. Louis was praised for “…fine singing …, most notably [by]Andrew Cummings, whose powerful baritone as Renato provides this production with its most glorious moments…” [Ladue News, 7/2/12] Other operatic performances include Conte di Luna in Il trovatore for Opera in the Heights in Houston, the title role in Le nozze di Figaro with OperaDelaware, Ben in The Telephone for Natchez Opera, Mozart’s Figaro at the Kimmel Center in Philadelphia, Amonasro in Aida with New Jersey Association of Verismo Opera, Tonio in I Pagliacci with the Rockland Opera Society, Escamillo in La Tragédie de Carmen with Hubbard Hall Opera Theater, Zurga in Les Pêcheurs de Perles with The Opera Company of Middlebury in Vermont, Il Conte Almaviva in Le nozze di Figaro with Dell'arte Opera Ensemble, and supporting roles for DiCapo Opera Theatre, Lake George Opera, and Metro Lyric Opera of New Jersey. Acclaimed by The New York Times for his performance in Shaw Sings! with Encompass New Opera Theater at Symphony Space, Mr. Cummings is frequently called upon to perform contemporary music and new works. He joined the Juilliard Opera in 2011 for the American premiere of Kommilitonen! by Sir Peter Maxwell Davies, and in 2013 for performances of Janacek's The Cunning Little Vixen. He has also been heard in the world premieres of To One in Paradise by Benjamin C. S. Boyle at Merkin Concert Hall, Searching for Kristallnacht by Thomas Cabaniss at the JCC of Manhattan, Gary Papach’s The Last Leaf with the North Czech Philharmonic in the Czech Republic, and Michael Dellaira's The Secret Agent with The Center for Contemporary Opera at the Kaye Playhouse and at the Armel Opera Festival in Hungary. On the concert and recital stage, Mr. Cummings has made frequent solo guest appearances. In addition to his 2014 appearances in Alamos, Mexico, orchestral solo performances include Brahms' Ein deutsches Requiem with the Flint Symphony Orchestra under the baton of Maestro Enrique Diemeck and with the Hudson Valley Philharmonic under the baton of Randall Craig Fleischer, Bach’s St. John’s Passion with Shepherd University in West Virginia, Orff's Carmina Burana and Mozart’s Requiem with the Camerata New York Orchestra, and Verdi’s Messa da Requiem with the University of Pennsylvania and Shepherd University. The past year has been a busy and exciting one for Mr. Cummings with several new role debuts, including Lescaut in Pucinni’s Manon Lescaut, title roles in Mozart’s Don Giovanni and Tchikovski’s Eugene Onegin, and a musical theater / cross-over debut of the title role in Steven Sondheim’s Sweeney Todd with Pittsburgh Festival Opera (formerly known as Pittsburgh Opera Theater). The 2016-17 concert season has included Orff’s Carmina Burana, Handel’s Messiah, Beethoven’s 9th Symphony, and Ralph Vaughan-Williams’ Five Mystical Songs among others. In 2018, Mr. Cummings will revisit Mendelssohn’s Elijah. Mr. Cummings received his music education from Temple University in Philadelphia, PA. He resides in New York City with his son, and studies with Arthur Levy. April 2017 - Please destroy any previously released version.